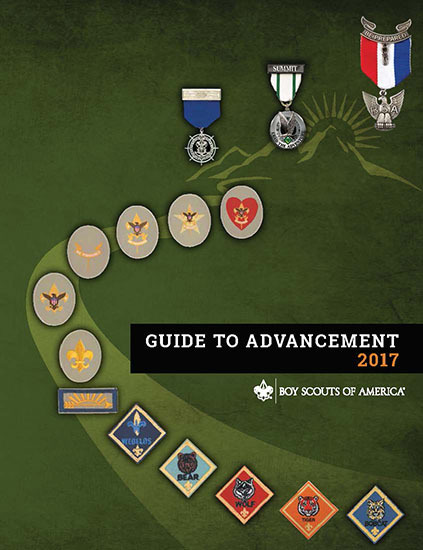 The Guide to Advancement is the official source for administering advancement in helps Scouters understand and implement the advancement programs and procedures of the Boy Scouts of America. Policies and procedures outlined in the Guide to Safe Scouting apply to all BSA activities, including those related to advancement and Eagle Scout service projects. other official BSA resources such as BSA Advancement News, the national advancement team’s Twitter feed, and the advancement educational presentations released by the national Advancement Committee. The latest advancement resources can be found on the BSA advancement resources page. 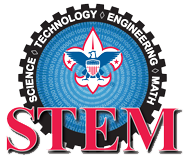 Internet advancement allows units to enter youth advancements, awards, and merit badges. After completing the requirements for any rank, the Scout in a troop appears before a board of review. Its purpose is to determine the quality of his experience and decide whether the Scout has fulfilled the requirements for the rank. While a Life Scout, plan, develop, and give leadership to others in a service project helpful to any religious institution, any school, or your community. The project must benefit an organization other than Scouting. A project proposal must be approved by the organization benefiting from the effort, your unit leader and unit committee, and the council or district prior to starting the project. Eagle Scout Service Project Workbook, No. 512-927 with all required signatures, except the district signature. 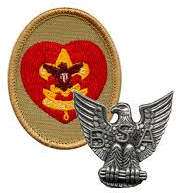 BSA Adult Leader application: Anyone interested in being a merit badge counselor must fill out an application, even current leaders. The position code for a merit badge counselor is 42. There is no fee associated with being a merit badge counselor. Merit Badge Counselor Interest Sheet: A counselor selects the merit badge they are interested in counseling. Youth Protection Training: All merit badge counselors must have current Youth Protection Training. Training can be taken at my.scouting.org. All three forms should be submitted to the Tall Timbers District advancement chair or the Tall Timbers District merit badge counselor coordinator. 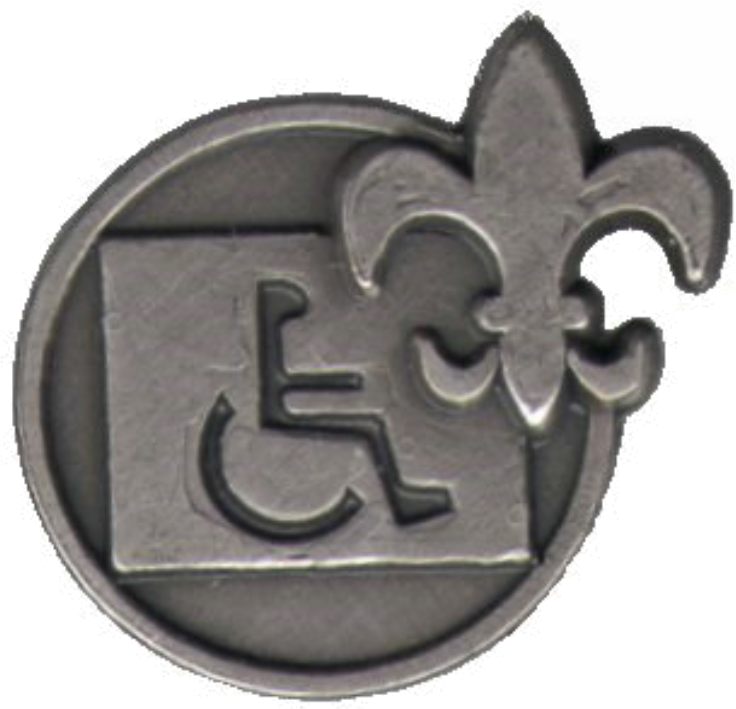 Once a merit badge counselor is registered, they are a member of the district committee. They won't be listed on a troop recharter or any troop paperwork. So whenever possible, please help the district keep our roster current by sending updates to the district advancement chair or district merit badge coordinator. Advancement Educational Programs has several presentations that will enhance the Scouting advancement program. Guide to Advancement helps Scouters understand and implement the advancement programs and procedures of the Boy Scouts of America. Eagle Scout Service Project Fundraising Application must be used by Scouts to obtain approval for Eagle Scout project fundraising or securing donations of materials for their Eagle projects. Program Updates on Scouting.org has the most recent Scouting program information. Service Project Guidelines contains age guidelines for tool use and work at elevations or excavations. Service Project Planning Guidelines can be utilized for all Scouting service projects including Eagle Scout service projects. For additional information or questions about advancement, contact the district advancement chair.